The Nocturnal Times recently sat down with LO’99 following the massive release of his VIP Remix of “Take Me Back,” which was made available as a free download. Additionally, LO’99 will embark on an Australian tour in the coming months, where attendees will catch a preview of LO’99’s newest single release, “My Mind,” which will be released on Medium Rare Recordings this month. 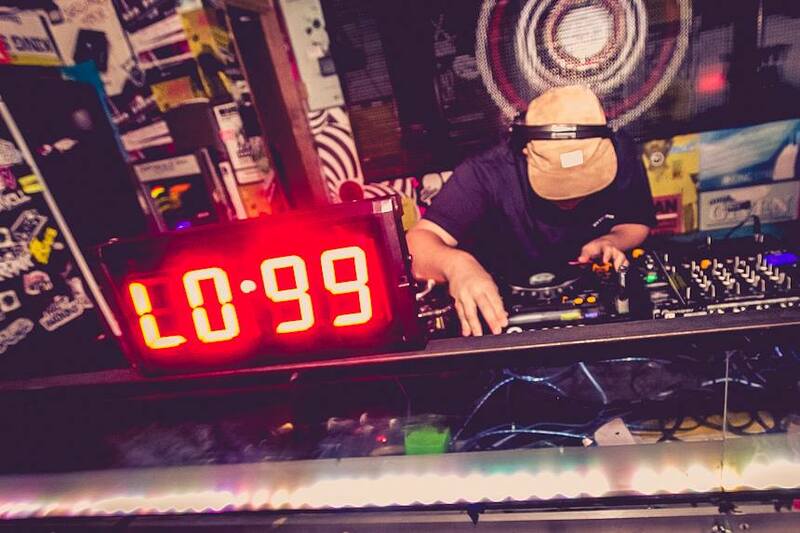 LO’99 talks with The Nocturnal Times about his earliest dance music exploration, early influences, and what sets him apart from the rest. We also divulge deeper into his remix work for Kaskade and John Dahlback, his favorite albums of all time, and where he sees himself five years from now, in our exclusive interview with the breakout electronic sensation. The Nocturnal Times: How and when did you first begin your exploration of dance music? TNT: Who were some of your initial influences? Have your musical inspirations changed since the beginning of your career? LO’99: The first electronic artists I listened to were Shadow, Daft Punk, Cold Cut, Chemical Brothers, The Prodigy and they are all still inspiring me now – but of course there’s been lots of other new and different artists along the way. When I first started going to raves all my music was ruled loud distorted 909s, real fast ones hahaha. Not sure if that shines through in what I do now but it’s definitely influenced me somewhat. TNT: What sets LO’99 apart from the rest? TNT: Last year, LO’99 provided a remix for Kaskade & John Dahlback’s “A Little More” featuring Sansa. How did this first come about? What can you share about your remixing experience for Kaskade? LO’99: Oh yeah, I was so stoked to do that mix for the guys!! I had been sending Kaskade bits and pieces of my stuff to play, I guess he was digging the vibes cause he hit me back soon after I shot one my tunes and asked if I’d be up for remixing his next single. Of course, I said yes straight away and got right into it! He was a legend to work with and offered some suggestions and tweaks along the way to get it where it is now. Good timesss! TNT: You’ve just released the VIP Remix of “Take Me Back” with Marshall F. Why did you decide to release this as a free download and what first inspired the VIP mix? LO’99: Yeah its up for free download on my Soundcloud now (wink wink) haha. Nah but yeah I love our original but I wanted something a little bit tougher for sets late in the night. Went in on it one afternoon and later that night I finished the session with what you hear now. I love it haha. TNT: You will release your next single, “My Mind,” on Medium Rare Recordings in May. What can you share about this release? Have you already begun planning a follow-up? LO’99: Yeah My Mind is just about to start doing its thing, I think the actual release date might be start of June but it’s the label’s campaign is just about to start now! It’s a solid club jam, tried and tested over the last few months in my sets – hopefully peeps and DJs get into it. There will be a couple of remixes dropping with it too. More info very very soon!!!! Actually have a follow up collab with Marshall F in the works too, that will be a little further into the year but. TNT: What do you consider to be some of your favorite albums of all time? TNT: Speaking of albums, do you have any plans in the future to release a full-length studio album? TNT: You’ll embark on an Australian tour in the next few months. What can you share with fans about what you have planned for the coming tour? TNT: Where do you see LO’99 five years from now? LO’99: Ummm haha I dunno. Lil older, lil wiser but still doing what I love. Can’t wait to get overseas, play some shows and work with artists abroad too! Grab your copy of LO’99 & Marshall F “Take Me Back (VIP Remix)” here. LO’99 is on Facebook and Twitter.